Back in June, just after I put Pearl up on Amazon, I came across a thread on AbsoluteWrite discussing keywords. Amazon keywords are important because they help potential readers find your work. Also, the more niche you can get with the keywords, the more likely it is that your book's rank will be higher, which makes it more visible to more people. Now, how Amazon's Super Secret Algorithm works is unknown, so the rank of your book doesn't necessarily correlate to sales. 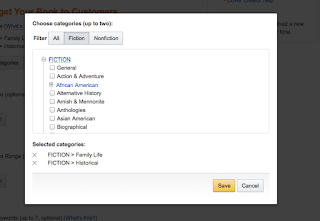 When you upload your book and begin the process of filling out the basic information (your author name, your title, uploading the cover, assuring that you hold the rights), Amazon also asks you to choose a basic category. As you can see, some are very broad (General, Action and Adventure) and others are more specific (Amish and Mennonite, for instance. Lower down, there's a category for Black Humor). For Pearl, I initially went with Fiction >Historical. Amazon will only let you choose two here. Pearl is historical fiction, so there you go! You can list up to 7 and these are the things people might type into the Kindle ebook search bar. I think initially, I had only put in things like "18th century," "Georgian," "England," "female protagonist," "family," and "abolition." These keywords are accurate to the story--but there are a lot of ebooks in the Kindle store that take place in the 18th century Georgian England, after all. Then I learned that phrases work in the keywords as well--the form reads the commas as the separations! So while I was able to keep "18th century Georgian England" in the keywords, I was also able to add in the things that I think make Pearl a unique story in the realm of English-set historical fiction. 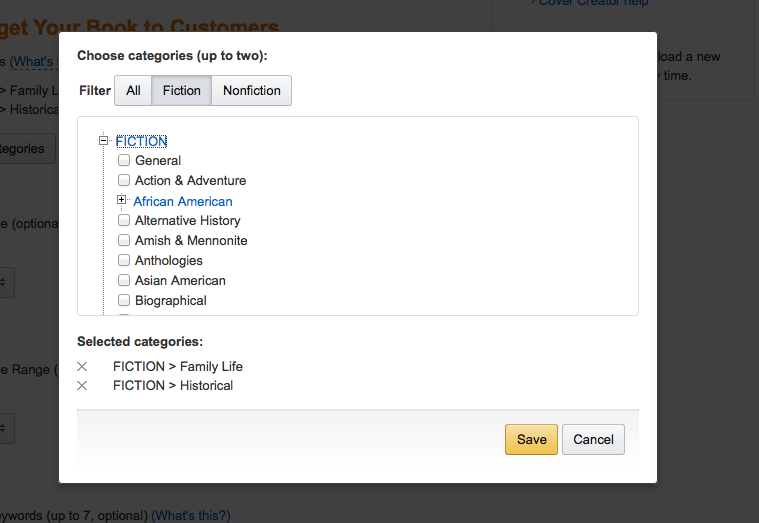 I also went back and tweaked the broader categories Pearl falls into, adding Fiction > Family Life. If Amazon had secondary categories under "Historical," I would've loved to put "Georgian" under there. Since then, Pearl has been floating in the Top 100 of Kindle ebooks > Literature and Fiction > Historical Fiction > Caribbean & Latin American. Which, as I mentioned earlier, is a result of Amazon's algorithms more than sales. So the next time you buy an ebook on Amazon, take a look at the keywords at the bottom of the book's page and think about how you came to find that book in the first place. This is cool! 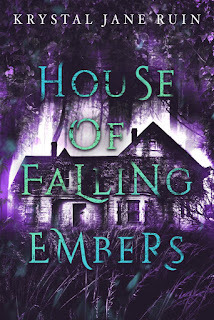 Probably most of my books were found via recommendations or direct search for the title or author, but now I want to go searching for things via keywords and see what I find! It's like a treasure hunt. I haven't really browsed much on Amazon Kindle for books specifically--l already know what I want to buy usually. But it's an important part of getting your book found!